It was the year 1981 when two young students and both friends of one another decided to make a change in the interior design industry. Jürgen Reiter and Peter Schönhofen are the two faces behind the brand KARE of what it is today. The KARE brand symbolizes furnishing ideas which are unique, non-conformist and authentic. Ever since 1981 the company has been surprising its fans worldwide with a unique and inexhaustible variety of new furniture, lighting and furnishing accessories, all expressing an intense passion for design. KARE Design has launched with their first and only showroom in North America in the Queen West neighbourhood of the city of Toronto also known as the Fashion District. Apart from offering a wide array of world-class furniture and home décor products KARE is also known for its services which include a design consultation for your home for free. Also to experience for your self KARE provides its customers to see their products in the showroom with the help of Augmented Reality. It helps you decide what exact products you will need for your room. Since the foundation of the brand KARE has 200 brand shops in 40 countries today. With its stores in Germany and Austria, 200 brand partners worldwide and 2000 trade customers KARE inspires cosmopolitan spirits and young people of all ages in over 40 countries with enthusiasm for individual furnishing. In 2014 the company opened the KARE Kraftwerk - its international flagship store offering a unique lifestyle experience. Nothing is more exciting during the summer months than creating your own home oasis. Whether that be in your back yard or balcony, relaxing at home means being by yourself and face it how often does that come around? That being said, patio furniture is expensive and I don’t know about you but I don’t want to lie a towel on the ground every time I want a little sun. 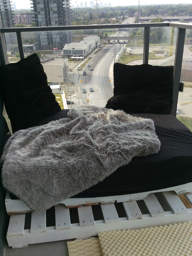 Add some pillows and blankets for some decoration and now I have a perfect day bed to read and lay in the sun. Introducing our client: Powell & Bonnell. 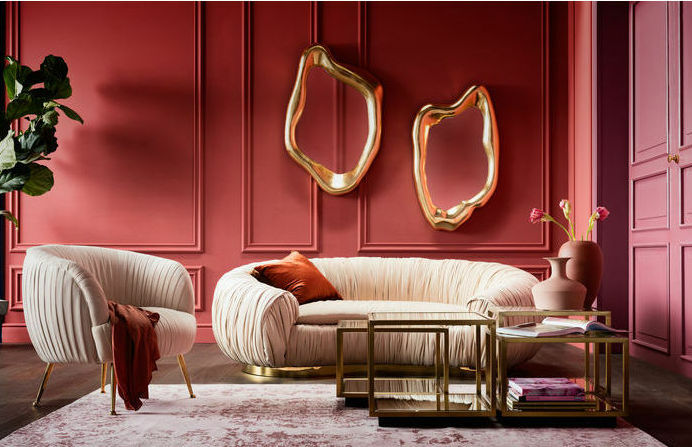 Established in 1990, under the creative direction of founders David Powell and Fenwick Bonnell, Powell & Bonnell is a multi talented firm with a primary focus on high-end residential design and a high end collection which includes furniture, lighting and textiles. Powell & Bonnell services its international clientele through its head office located in the heart of the Toronto design district, their 3,700 square ‘laboratory’ environment encourages clients and suppliers to collaborate with designers, creating unique solutions for their projects or products. The concept space showcases a street level introduction to both Powell & Bonnell’s design sensibility and portfolio of products. 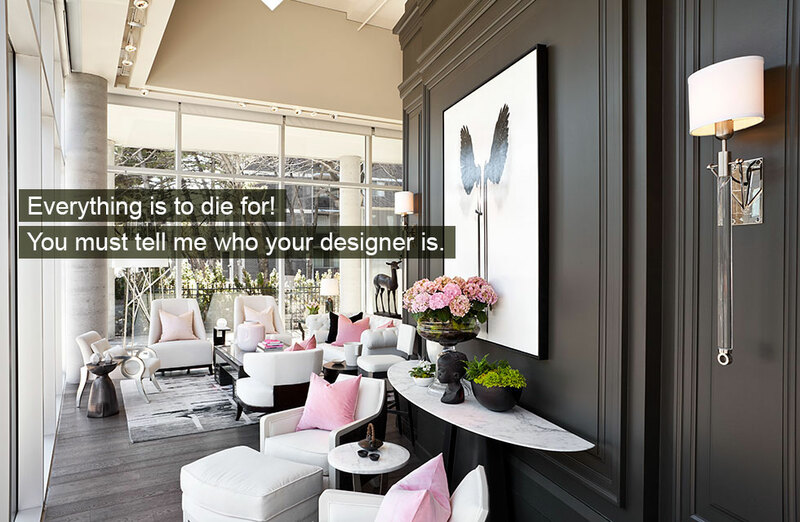 Driven by a philosophy to provide tailored, creative solutions of exceptional quality, this award winning company is internationally recognized for the art and integrity displayed in their interior design services and collection of fine furnishings. 1996 saw the inception of the Powell & Bonnell line of furnishings, lighting and textiles. The widely celebrated collection of over 150 products is crafted in North America and is intended for residential and commercial application. The Powell & Bonnell collection of lighting, mirrors, seating, tables and textiles are available to the trade through a total of 19 showrooms throughout Canada, USA and Mexico and are distributed internationally directly through Powell & Bonnell. Powell & Bonnell prides their company on their philosophy to provide tailored lifestyle-centric solutions of exceptional quality, they also take pride in the fact that they are not confined to a signature design style. This enables their multi-talented design team to create solutions which meet the lifestyle and desires of the client, while respecting cues given by the established “architecture” of the environment. International and domestic design projects are orchestrated from their Toronto atelier. Finished projects are appropriately understated and suitably luxurious. The Powell & Bonnell philosophy is unmistakable in an equally refined and understated offering of furnishings, lighting, mirrors and textiles. Their bespoke collection is made in North America and is available in showrooms throughout Canada, the USA and Mexico.